Dallas, TX – CEDIA EXPO, Booth 2900 – October 15, 2015 – The Z-Wave Alliance, a global consortium of 325 member companies supporting the Z-Wave Wireless IoT standard, will host the Z-Wave Pavilion at CEDIA 2015. With over 1400 certified products and more than 40 million devices installed worldwide, Z-Wave continues to be the wireless technology of choice for the home security and smart home markets. Mitchell Klein will be debuting at CEDIA EXPO for the first time as the new Z-Wave Alliance Executive Director and will be in the Pavilion making himself available for interviews and conversations about how the Alliance can best serve dealers and integrators interested in adopting and installing Z-Wave smart homes. Within the Z-Wave Pavilion, Alliance members will promote the growing ecosystem of Z-Wave enabled smart home solutions including hubs, connected water meters, smart locks, thermostats and smart home security systems. Fibaro, a leading European manufacturer of wireless, intelligent home automation systems will be showcasing the centerpiece of their connected home ecosystem, Home Center 2. FortrezZ will display a new Flow Meter Interface Module for Water Flow Monitoring applications, providing property owners detailed information about their water usage and allowing them to set parameters and turn on and off their water supply. Kwikset, a leader in residential security will showcase its new line of Signature Series Deadbolts with Home Connect technology which will allow homeowners to access their Z-Wave enabled lock from anywhere via their smartphone. MCO Home Technology, a professional manufacturer dedicated to the continued development of the Internet of Things will have a new Z-Wave enabled thermostat on display for the North American market. The new smart t-stat can control electrical heating systems and includes floor over-heating protection. Nortek Security & Control will show off their new GoControl® smart home portfolio, which brings added safety, security and convenience to the CEDIA market with a full line of wireless home control products. The new GoControl products are interoperable with other certified Z-Wave devices in the home to ensure point-to-point coverage and complete scalability of the smart home network. Yale Locks will be broadening its access control line with the new Real Living Digital Door Viewer, an IoT doorbell camera that includes video, two-way audio and WiFi and Z-Wave connections. Yale will also showcase its next generation smart locks and the NexTouch Multifamily Lock, the first small business connected locking solution. Poly-Control’s new Danalock V2 smart lock entails a complete makeover—hardware, software, apps—and adds support for Nest and Harmony to their already unrivaled BLE and Z-Wave capabilities. A new lock-state sensor and app widget automate the entire install while the new hardware fits any U.S. deadbolt lock with no modifications needed. Danalock V2 is simply the smartest smart lock ever inspired by user feedback. Oomi, a leading creator of wireless home technology that compliments the smart home, will display a complete product lineup, including their Z-Wave enabled Oomi Cube and Oomi Touch smart home system in the Z-Wave Pavilion. Schlage, will show Schlage Connect™ which puts powerful advantages to work. As the brand consumers prefer most in residential door locks, Schlage provides the backing of a 3-year electronics warranty. Plus, with Snap & Stay™ Technology, quick system setup and batteries included, it will minimize installation costs – and maximize profits. SecureNet Tech is a leading provider of fully customizable solutions for interactive security, home control, and video monitoring will showcase their fully brand-able customer facing app and web portal, and new dealer portal and dealer technician app in the Z-Wave Pavilion. Telguard will be demonstrating their HomeControl home automation solution for DSC and 2GIG panels, as well as the Telguard GDC1 Universal Z-Wave Garage Door Control Switch. The GDC1 switch is compatible with any automatic garage door opener connected to a sectional garage door and in conjunction with Z-Wave smart home devices can alert you if the garage is left open. The Z-Wave Alliance also announced a new integrator level membership within the organization that will allow dealers and integrators to collaborate with a diverse ecosystem of companies in the smart home and IoT industries dedicated to creating Z-Wave solutions. Along with the integrator membership, the Alliance will host an introductory course to the new Z-Wave Certified Installer Training at CEDIA EXPO 2015. The course will offer attendees the tools to design, implement and maintain Z-Wave smart home solutions, saving them time and money and boosting customer satisfaction. “I am excited to attend the show with a new set of responsibilities and a new role, but even more excited to talk with colleagues, both new and old, about some of the exciting initiatives the Z-Wave Alliance is working on for integrators and dealers looking at benefitting from the uptick in smart home adoption across North America,” added Klein. To celebrate its 10th anniversary, the Z-Wave Alliance will host a “Z-Wave Rocks! Beer Bash” on Friday in Booth 2900 from 3:00 – 5:00 pm CT. In addition to Alliance sponsored training and Pavilion activities, Z-Wave is featured throughout the show, with 14 member companies exhibiting outside the Z-Wave Pavilion and training from several Alliance members including Fibaro, URC and RTI. For more information on the Z-Wave Alliance, please visit https://z-wavealliance.org. Follow the Z-Wave Alliance on Facebook, Twitter and on LinkedIn. Z-Wave® is a registered trademark of Sigma Designs (NASDAQ: SIGM) and its subsidiaries in the United States and other countries. 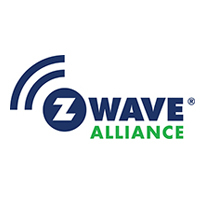 Formed in January 2005, the Z-Wave Alliance is a consortium of leading companies in the home technology space dedicated to solidifying Z-Wave as the standard for wireless home control products. The principal members include; ADT, FAKRO, Ingersoll Rand Nexia Intelligence LLC, Jasco Products, LG Uplus, Nortek Security & Control, SmartThings and Sigma Designs. Alliance members lead the home controls market, providing leading edge products and systems that deliver increased comfort, convenience, energy conservation, safety and security.